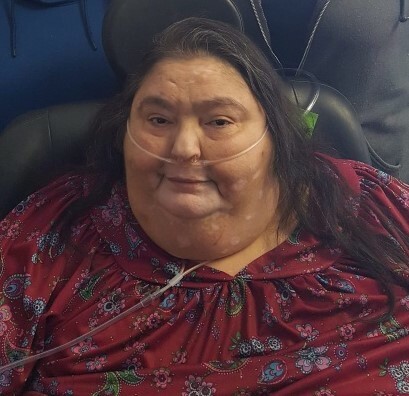 Marlene J. Harsch, 56, of Hibbing passed away, Thursday, March 28, 2019 at the Emerald’s in Grand Rapids, MN from complications of COPD. She was born March 4, 1963 in Red Lake, MN. Marlene loved everything outdoors, fishing, hunting, and 4-wheeling until COPD curtailed her activities. She loved to cook, lasagna was always a welcome dish and her fudge was out of this world. She was a very caring person, helping all sorts. She will be missed by many. Marlene is survived by her daughters, Carla, Dawn, sister, Barb (Ted Johnson) Staudohar-Johnson, and grandchildren, Elora, Sharie, Rhea, and one on the way. She was preceded in death by her husband, Samuel Harsch, her adopted father, Ed Staudohar, and dear friend, Daren Niedzielski. Memorial services for Marlene will be 11:00 am, Monday, April 1, 2019 at the Dougherty Funeral Home of Hibbing. The Rev. Tim Yearyean will officiate. Visitation will be one hour prior to the funeral service at the funeral home on Monday. Arrangements are with the Dougherty Funeral Home of Hibbing.